Hi Craftwell friends! Linsey here today sharing my latest project with you. Do you enjoy making your own party favors for special occasions? I sure do and these mini pizza boxes were the perfect blank canvas for my party favor decorating desires! 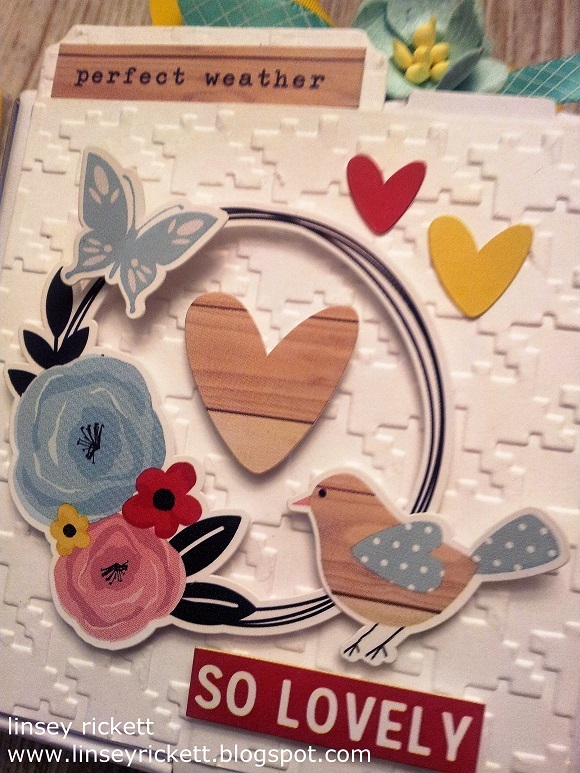 Such a fun and easy project--perfect for kids and adults alike! I wanted to keep the design clean and simple with crisp white cardstock so that the dry embossing would really pop. I had a great first experience with the brand new SNAP Machine Electric Embosser & Die Cutter! It's so easy to operate and comes in a compact and portable design so you can use it anywhere you like, including where space is limited. 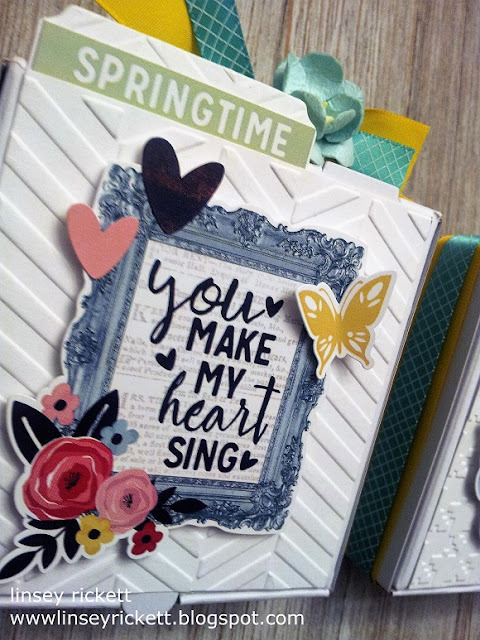 I used Teresa Collins 2-Pack A6 Folders, Twill Herringbone & Preppy Houndstooth Embossing Folders for the bases, then embellished each box with a variety of Spring stickers, satin ribbon and mulberry flowers. 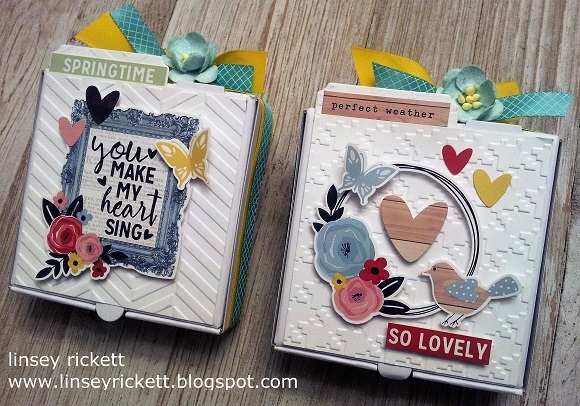 For a final touch, I used 2 scrap pieces of previously embossed cardstock to make a tab from Teresa Collins Tabs & Tags Project Dies and added a coordinating sticker to each die cut tab, then placed at the top left corner of each box front. And that's all for me! Thank you so much for stopping by and I hope you have a creative and very blessed day! Uhhh! How did I miss this?! I LOVE this project! Great job! !